Friday Nights at NOMA opens the museum’s doors for many interesting activities throughout the year: live music, movies, children’s activities, and more. Regular admission prices apply—NOMA members are FREE—but there is no extra charge for programs or films. All galleries and Café NOMA remain open till 9 pm. In October 2007 the Big Easy partnered with the Big Apple to make New Orleans the first official Opera on Tap franchise. Each season, the New Orleans Opera presents the finest young local and regional singers in free , 90-minute casual concerts of opera, Broadway and more. Now in its twelfth season, Opera on Tap–New Orleans is attracting people from around the world. Join Curator Vanessa Schmid for an insightful gallery tour of The Orléans Collection. In celebration of the tricentennial of the city that bears his regal title, NOMA presents an exhibition of selections from the magnificent personal collection of French nobleman Philippe II, the Duke of Orléans. This international loan exhibition will bring together masterpieces by Veronese, Valentin, Poussin, Rubens, and Rembrandt that formerly graced the walls of the Palais-Royal in 18th-century Paris. Rev. Michaela O’Connor Bono is the resident priest and co-leader of the Mid City Zen sangha in New Orleans. She has been practicing Zen for almost ten years, having done most of their monastic training at Tassajara Zen Mountain Center and Green Gulch farm, which are part of the San Francisco Zen Center. Rev. Michaela took ordination in 2010 and is involved in prison meditation and chaplaincy work and she is on the board of Sakyadhita USA, a branch of the International Association of Buddhist Women. She will speak about the spread of Japanese Zen within the United States in conjunction with the exhibition Teaching Beyond Doctrine: Painting and Calligraphy by Zen Masters. In 2015, the beautiful jazz funeral in New Orleans for composer Allen Toussaint coincided with a debate over removing four Confederate monuments. Mayor Mitch Landrieu led the ceremony, attended by living legends of jazz, music aficionados, politicians, and everyday people. The scene captured the history and culture of the city in microcosm—a city legendary for its noisy, complicated, tradition-rich splendor. 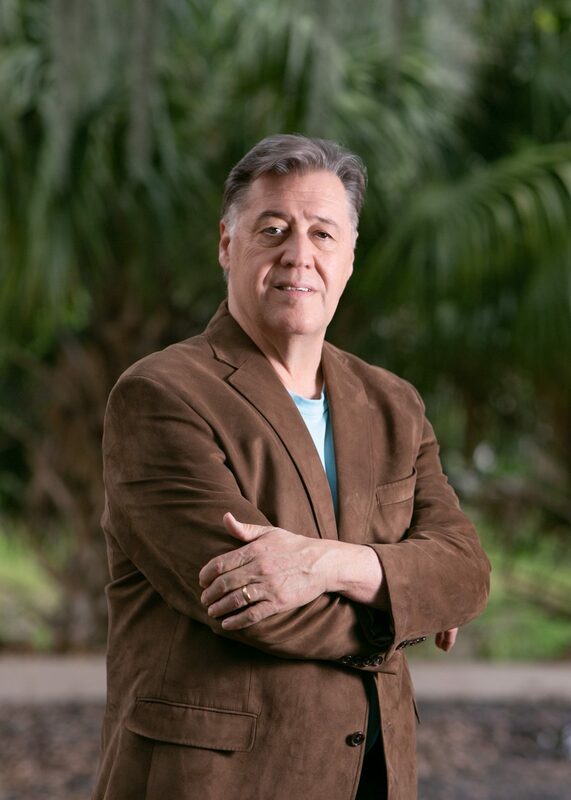 In his new book City of a Million Dreams: A History of New Orleans at Year 300, Jason Berry delivers a character-driven history of New Orleans at its tricentennial. Chronicling cycles of invention, struggle, death, and rebirth, Berry reveals the city’s survival as a triumph of diversity, its map-of-the-world neighborhoods marked by resilience despite hurricanes, epidemics, fires, and floods. Berry orchestrates a parade of vibrant personalities, from the founder Bienville, a warrior emblazoned with snake tattoos; to Governor William C. C. Claiborne, General Andrew Jackson, and Pere Antoine Sedella, an influential priest and secret agent of the Inquisition; Sister Gertrude Morgan, a street evangelist and visionary artist of the 1960s; and Michael White, the famous clarinetist who remade his life after losing everything in Hurricane Katrina. The textured profiles of this extraordinary cast furnish a dramatic narrative of the beloved city, famous the world over for mysterious rituals as people dance when they bury their dead. 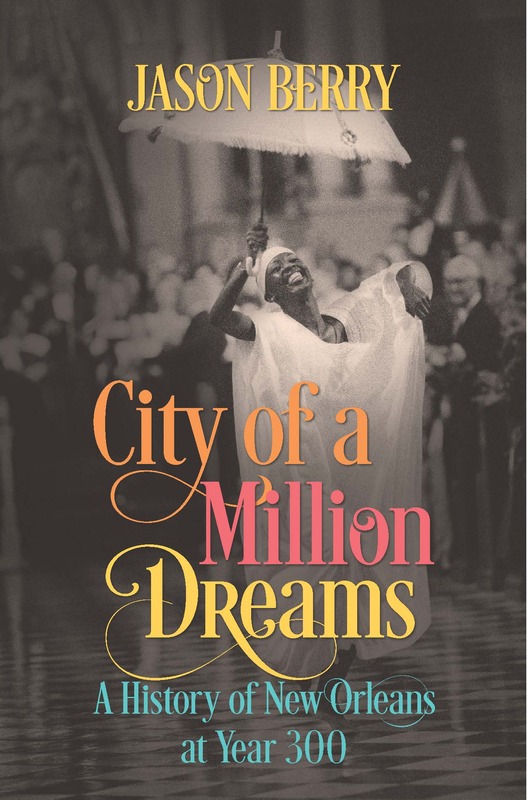 A preview clip of a companion documentary to City of a Million Dreams will also be screened in Stern Auditorium, and a book signing will follow the presentation in the Museum Shop. Berry is an independent writer, documentary film producer, and journalist living in New Orleans.